Internet search giant Google recently announced a new feature for webmasters that will be available in the Search Console. The news was published on the verified Twitter account of Google Webmasters where the users were urged to check out the new feature and retweet their feedback. According to the tweet, the new feature enabled the users to see the HTTP response, page resources, and the JS logs. 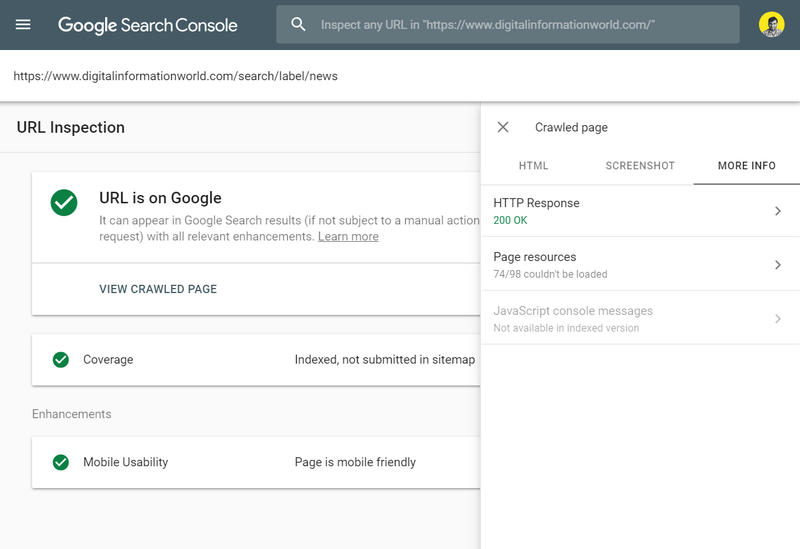 Additionally, the Search Console will also provide a screenshot of a crawled page right from within the Inspect URL tool.